Due declining revenue in South Dakota, Gov. 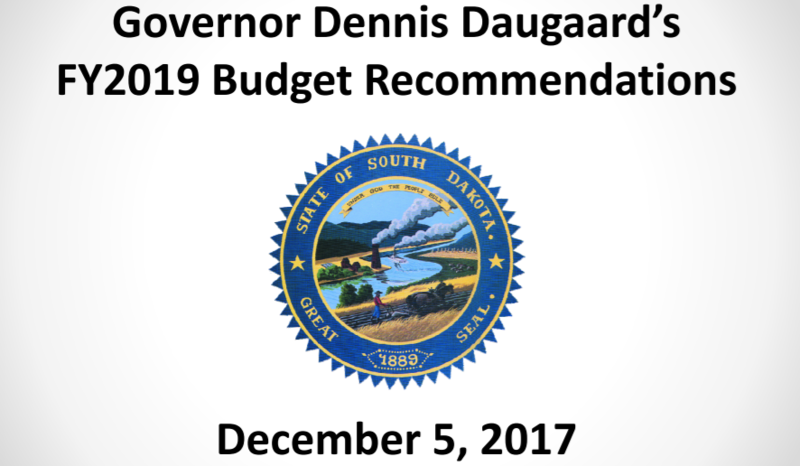 Dennis Daugaard proposed no inflationary increase for K-12 education for fiscal year 2019 during his budget address on Tuesday (12/5). “I cannot recommend inflationary increases, at all,” Gov. Daugaard said, adding that funding for education for the 2018-19 school year will be “tied to increasing student enrollment” which is projected to increase by approximately 1,500 students next year. Download the Governor’s budget address presentation here. Gov. Daugaard noted “the state’s revenue collections have not been meeting projections” and the “growth (in sales tax) has been slowing since 2015” mainly due to low farm income, low inflation, increase e-commerce sales and increased health care costs. “For now, we have to stay vigilant on how sales and other tax collections progress over the next few months,” Pogany said. During session you can stay up-to-date on all that occurs through the ASBSD Blog, Twitter feed and Bill Tracker.